Listen to the Hon. Shira A. Scheindlin, United States District Court Judge for the Southern District of New York and Attorney and Electronic Discovery Blogger Ralph Losey discuss why it is important to teach law students electronic discovery principles. Judge Scheindlin has had a prominent career on the bench and is famous in the electronic discovery world for imposing sanctions on UBS Warburg in Zubulake v. UBS Warburg. This case has been seen as revolutionary for human resources personnel and computer forensics because it shifted the burden of proof to the defendant when they could not produce their documents in a timely manner. She also recently published Electronic Discovery and Digital Evidence: Cases and Materials, a curriculum for law students to learn electronic discovery. We also are joined by Ralph Losey, a shareholder with Akerman Senterfitt, Co-Chair of their Electronic Discovery Practice Group and Adjunct Professor at the University of Florida School of Law teaching e-discovery. 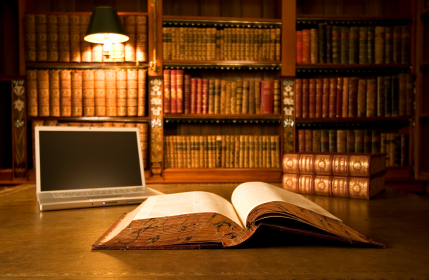 Learn why electronic discovery is something not only every lawyer should know something about, but law students should as well from two of the electronic discovery world’s pioneers. KARL: First of all, Judge Scheindlin, why did you become interested in electronic discovery? RALPH: Well I started back with computers going back to law school days in the late ’70s, but insofar as a separate discipline, it wasn’t until Judge Scheindlin wrote Zubulake that I realized this needed to now be a specialty. So I have a debt to you, Judge. KARL: And I do, too. I came up with that bottle of wine label based on the Zubulake opinion which I have sitting on my desk behind me. Thank you for autographing it, Judge Scheindlin. KARL: Okay. Well now it’s been two years since the Federal Rules were adopted, four years since your landmark decision in Zubulake, for both of you, do you think we’re making progress in electronic discovery? JUDGE: Well I do. First of all, it has been two years since the new Federal Rules regarding e-discovery went into effect, but they’ve been in the public eye for more than two years because they were in draft and there was public comment, and everybody knew they were coming. So in a way they’ve been out there four years. And then the earliest Zubulake decision was 2003, so that’s been six years. So I would say, you know, we are in that range of four to six years, and now everybody knows about e-discovery. There’s nowhere in the Country that you can go where attorneys and judges aren’t aware at least of the problem and of methods for addressing the problem. So it’s in everybody’s consciousness, and to that extent, we are making progress. Discovery lawyers do routinely discuss this now in their meet and confers, they do try to work out solutions. The court doesn’t always see the problems because I think counsel are handling it. But it is a new world; most records are created electronically not on paper, and everybody’s dealing with it. Whether everybody’s up to speed enough is a different issue, particularly with respect to effective search techniques and cost issues. Maybe not everybody’s up to the same level of speed, but everybody’s aware of the problem. That’s a good thing. I might even add that our government is aware of it and you hear more and more now about the new administration having questions about electronic records, and the medical field and other fields. I would say we’ve made tremendous progress in the e-discovery area. JUDGE: Did Ralph want to answer that? KARL: Ralph do you have anything to add to that? RALPH: I agree totally with Judge Scheindlin on that. Consciousness raising-wise, we’ve done it, I think. But as to teaching skills, we still have a long way to go. I agree with her on that. I think that’s one reason the Judge and I both spend so much time writing, to try to facilitate some more in-depth study. KARL: I know you have a new blog out constantly on this, so I know it’s something you have a deep passion for. Now Judge Scheindlin, let’s talk a little bit about the book you’ve recently written, the curriculum for law students called Electronic Discovery and Digital Evidence which you wrote with Professor Dan Capra from Fordham Law School and with help from the Sedona Conference. There’s a real creative blog post on the Internet called “Teach Your Children Well, a Case for Teaching E-discovery in Law Schools,” written by Shannon Capone Kirk and Kristin Ali. Why do you see the need, Judge Scheindlin, for law students to learn about electronic discovery? JUDGE: Well, you know, there’s an old saying “softball up the middle,” that’s pressure was really softball up the middle. We just said that the practice of law today involves nothing but electronic records. We used to say there’s e-discovery as if it was a subset of all discovery. But now there’s no other discovery. As the world shifts to electronic records there are no paper records, and by the time today’s graduates become lawyers they will see hard copy as a thing of the past. Boxes, warehouses, sorting through paper – I really don’t think that’s going to be the way they’re going to practice. It’s all electronic. So if they don’t learn the techniques for working with electronics records efficiently, for thinking in advance about such things as form of production, search terms, search techniques, if they’re not up to speed they’re going to just fall out. I mean, they’re not going to cut it in the new world. Those of us who are a little older, shall I say modestly or immodestly, but it’s too late for us. We can’t really change completely. But for these young people coming out the world will change with them. So it must be taught in law schools. I think it would almost be malpractice for a law school to graduate a young lawyer these days and not have exposed them to the very important and fascinating issues of e-discovery. Ralph, do you agree with that? RALPH: Totally. I was just going to be teaching law school again tomorrow at the University of Florida. I go up there once a week. And there’s real enthusiasm there, the students. Not only that, they get it so much better than the CLEs that I do. RALPH: Plus they have the time to really study it and get it. I mean, it takes just for one semester – and we do a two-credit course which is typical of the law schools that offer it – you’re talking about 150 hours of dedicated study including the two hours a week classroom and three to four hours a week of reading assignments, and then preparing for the final exam. This is what it takes. It is a complicated subject and it’s frankly embarrassing that there are so few law schools that are now teaching it, but I think that will change soon particularly with Judge Scheindlin’s excellent course book and the books I’ve written. There’s now no excuse for law schools not to add it. JUDGE: Well thank you. That’s one of the reasons I’ve decided, along with Professor Capra, to undertake a casebook because we felt that professors find it harder to teach a course when it’s brand new and there’s no casebook. Once you give them a casebook on a platter, it isn’t that hard, and we thought this would add the possibility of a course in electronic discovery to more law schools. We did a survey before we wrote the book, and believe it or not, it is offered in I think more schools than you think. We found about 40 courses all by adjuncts. But I think it’s going to catch on and I’m glad that Ralph agrees with that. KARL: And you know I would say, anecdote only, there’s a lot of interest in this area since we basically shut down the circuit for the show on the initial attempt at the podcast and I sent this out to almost every law school in the Country this morning. Well given the importance of this, do you think the course should be a core course in law school just like torts, contracts, property and other courses that we’ve all taken? JUDGE: Well no, actually, I don’t because there’ll be some areas of practice where a litigation skills course is not necessary; however, that said, if you’ll forgive me again for just a small plug, just today West has published a supplement that I’ve written along with Professor Capra called Supplementary Materials on Electronic Discovery: For Use in Civil Procedure Courses. What it is, is kind of a reduced version of the casebook. So in every civil procedure course, if the professor – usually a full-time professor – wants to add a segment about electronic discovery, maybe a two or three week segment, they could have the students purchase the supplement as opposed to the casebook. And at least they could make sure that everybody gets a small exposure to e-discovery in the first year. So that I would advocate. I am sorry if these law schools are not on the phone but maybe they can catch the podcast another time, but I think civil procedure professors really should consider at least a segment of their one-year course being devoted to this. As far as a stand-alone course in the core curriculum, I don’t think that would be right because the lawyers who are going into other fields – corporate law, secured transactions or whatever – it’s not as important to focus on e-discovery as it is for litigators. So I look at it as a skills course much like trial practice, appellate advocacy, that type of course. KARL: The next text book. Hey Ralph, you didn’t have the benefit of the course materials from this book when you started teaching. How did you compile your course materials? RALPH: The prior adjunct Professor, Bill Hamilton, started using my first book that came out last year; we’re now teaching e-discovery at U.F. for the third semester in a row. Students seem to like that book. We welcome the addition of the more academically oriented one that Professor Capra and Judge Scheindlin have created. But we also supplement the texts, as most of the adjuncts I’ve talked to do, by bringing in other practitioners as guest lecturers. For instance, we had Jason Baron at the University of Florida a couple of weeks ago speaking about search and TREC, the scientific research that’s going on now about search. I think such guest lectures are also a good way to supplement textbooks. But I’ll tell you, there’s now a big hunger by law students for e-discovery – that might be one reason we flooded the switchboards – when we put our course up, it was offered this January for the semester, it sold out. We decided to cap it at 40 students. It was completely filled in a half hour of online registration. And the reason is, the students get it. They want and need this new knowledge to gain an advantage in getting a job and to get ahead in their law firms. That is why it is such a shame that most law schools are not offering it. They’re really disadvantaging their students by not providing them with the opportunity to learn e-discovery and apply the computer skills they already know to help themselves and the profession at the same time. KARL: Judge Scheindlin, given that comment and understanding the book just recently came out, and law schools tend to go on a regimented, you know, it’s time to do our course the year beforehand getting it slotted, are you getting any feedback on how your book is being received from law schools? JUDGE: Not the Supplement which is just coming out. Well you know, the casebook wasn’t published till December so we just got it out barely a few weeks before the spring semester, so we didn’t have too much hope that it would be picked up for courses in the spring semester. But I am hoping as people hear about the existence of the casebook, and that’s really not for me to publicize, but if West Publishing is talking – I guess called Thompson Reuters now but , that’s their publisher – if they’re meeting with law schools, their representatives are meeting with law schools, word-of-mouth is good, but hopefully as the schools become aware of it, it will be used. I can’t say that, I mean, I hope it is. KARL: I just did a podcast about a week and a half ago with Judge Facciola, and he’s deeply concerned that lawyers need to learn something about electronic discovery if they’re litigators, or else they’re really risking malpractice. In fact, he gave a couple of examples of what he thought were pretty darn close to malpractice committed in his courtroom. Do you see that same type of need from your perspective on the bench? JUDGE: Well yes, I mean, that’s why CLEs have been so popular in the electronic discovery area, and I will say there are many publications. Obviously Ralph Losey is a real leader in this field having published and published, but there are plenty of books out there. Just, of course, to add to the library shelf, I am coming out with a third book with Professor Capra and that will be a Nutshell. I don’t know if you’ve seen the West Nutshell series over the years, but it’s a narrative. It’s not like a casebook, doesn’t have the case in it, it’s a narrative. Again, it’s based on the casebook, so it’s a third publication. We have the Casebook, the Supplement For Civil Procedure and the Nutshell should be out in about two months. And I’m hoping the Nutshell would be attractive not only to law schools but to members of The Bar because it’s easy reading, I mean, you can just read the whole Nutshell in any area. It’s not very hard. But I’m not saying that’s something new, there are many good books out there that lawyers can and should be buying. So I agree with Judge Facciola completely. Lawyers have to get up to speed and I think they’re trying. I do think they’re trying. That’s why as I said, CLEs have been popular. “[T]he dizzying “hell” (as Nash would say) lawyers endure now in navigating the uncharted seas of E-Discovery – the sanctions, the technology, the new technology, the newer technology, the vendors, the review platforms, the advanced review platforms, the review platforms 2.0, 3.0, 4.0, 5.0, etc., the hold orders, the 30(b)(6) depositions, the conflicting law, metadata, e-gads metadata’s ugly step-sister, embedded data, the new and then new again local rules, and the sanctions again? Oh, our “hell did slowly go by” – but it doesn’t have to be that way ad infinitum. Do you have a reaction to that and how can law school’s courses help us? RALPH: Well, I agree with what Judge Scheindlin said earlier and that is, we’re kind of hopelessly, as Ken Withers likes to say, protodigital, Judge Scheindlin and I, because we grew up with paper. But now those days are over. It’s now all digital. So it’s a little difficult for us senior litigators. As Jason Baron likes to say, anybody that’s actually seen the Apollo moon landing is probably too old to get it. So that’s why a lot of us put our heart in the law schools. But we can’t really wait that long, so CLEs are also important, but even more important, is the advent of specialization and internal law firm training. I know that Shannon Kirk, who wrote the blog you mentioned, “Teach Your Children Well,” is deeply involved in that, as am I at Akerman. We are setting up specialty areas within our law firms where there are attorneys that do e-discovery and only do e-discovery, such as myself. That’s all I do. And it is a complicated field. Zubulake is just the beginning of a long journey of study and understanding. Just like we have antitrust specialists, we’re going to have e-discovery specialists. That’s just the way that it has to be going forward in order to deal with the just incredible complexities of the IT systems. The architecture of all of this, as Judge Scheindlin mentions in Zubulake, is constantly evolving and it becomes really a full-time job to keep up with this. JUDGE: Well I’ll just throw in a couple words here. I’m a little bit concerned about the risk of conflating a law education, a legal education with a technical education. I don’t think that we can turn all lawyers into computer specialists, and there are some lawyers who have a love of computers and they really do both fields – and probably Ralph Losey is one of them and there are a couple others who come to mind – but many lawyers are really lay people. They don’t have an engineering background, a science background, a math background, and they’re never going to implement technology. But what I think is important is that they at least identify when they need help, the questions they should ask, the places they should go. We just want them to be educated, conversant with the field, even though we may not expect all lawyers to become technical specialists. KARL: Those are good points. Now in the world of a young lawyer, a law student breaking in, you know, is this something that we’re going to have to wait to germinate? Because I remember being a first year associate and it was hard to set strategy when you were just trying to find a work assignment in a firm? JUDGE: I’m sorry, I don’t understand that question. KARL: Well is it, you know, do you expect it to take a while for the law students to actually be able to make contributions within law firms? JUDGE: I don’t expect a law student, you mean a young lawyer? KARL: A young lawyer who’s gone through these courses? JUDGE: Well that’s interesting. The young lawyers, as Ralph said earlier in this podcast, are going to be ahead of the more senior partners because they’re just going to be more conversant with computers and computer technology. So I think we’ve seen already in law firms that the more senior people turn to the more junior people for their sort of youthful knowledge and energy to take a leadership role in e-discovery projects. I think a young lawyer has a lot to contribute when usually he or she would not. KARL: Yeah, that’s a good point. Anytime you have a differentiating skill in a firm it’s not a bad thing, too. KARL: Well 40 schools, I guess, was the number that was thrown out – I haven’t Shepardized or checked that – are offering electronic discovery, and I know that there’s about, I think, 180 or 190 accredited law schools that are out there. Do you think the law schools have moved quickly enough into this area to add courses on electronic discovery? Ralph we’ll start with you but I’d like both your opinions. RALPH: In the past, no, but I think that’s rapidly changing. I think that may be a positive benefit of the economic crisis, if you can try and find one, that we’re starting to be more practical. Many schools – and I’m talking the top tier schools – have had an attitude of “discovery is beneath us.” It’s not the kind of thing professors write about, there are not many circuit appellate positions on it. But I think the academic community needs to get real and face the fact that this is a serious problem that The Bar is facing. We need the help of the academic community, and we need to have professors start teaching this, not just adjuncts. And I’m hopeful but, to be honest with you, the top tier schools have – you know, we have Georgetown is a great exception to that, they’re leading the way, but most of them are pretty reluctant. KARL: Okay. I’d like to ask a couple of questions on what a class on electronic discovery is like. Ralph, do you apply the Socratic method in this type of class? Is it anything like how Judge Scheindlin made her quest on the defendant in the Zubulake case, resulting in sanctions? To the best of your imagination. I know you weren’t there. RALPH: Well, I’m teaching sanctions tomorrow in the class and we’re going to be talking about Zubulake. It’s great, I mean, it’s much more fun, and Judge, if you have an opportunity, I urge you to try it out. Compared to teaching CLEs, where they may or may not be paying attention, and they may be doing their Blackberries while you talk, the classes are much more focused and you have the opportunity to ask questions. So I do follow the Socratic method. I ask questions and the beautiful thing is they are starting to ask questions back. Last week before Spring break we were doing metadata and, you know, I had to say, “Okay, we’re going to have to move on now,” there were so many questions. I mean, it is something that I think the students understand that finally they’ve got an edge from what they’ve learned. They know they know more than their parents, and they know they know more than the law firms they’re going to be working with, and I think they get it and they see this opportunity. So there’s a real excitement there in teaching in law schools and the kids are very bright. A lot of them have some terrific backgrounds. So I do have a lot of hope for the future coming out of that. KARL: Well that’s fantastic. Judge Scheindlin, do you think a class on electronic discovery, which it sounds technical in nature and therefore scary to most law students, might have the risk of only getting geek lawyers to sign up? JUDGE: Actually no, I don’t have that concern at all because what we’ve said throughout this call, that people in their twenties don’t have the same kind of phobia as we might have had 30 years ago about the word “computer” or the word “technology” or the word “tapes.” I mean, these words are not scary to these people in their twenties. So I don’t think that you’re only going to get geek lawyers. All the kids in law school have grown up with all of this. It’s very familiar to them. They like it. I know that from my law clerks. There’s not a law clerk I get now who can’t do all kinds of amazing things with computers. So I think they will embrace it. They will not be afraid of it. JUDGE: Well we have a problem with that. I don’t know if you saw the article in today’s New York Times, that jurors who have long been instructed not to do any research outside the courtroom are now ignoring that instruction, going on Google, going on Facebook, and we just had three trial verdicts rescinded, according to the New York Times, in major cases because jurors confessed to doing all this research online. It’s so easy and they’re so used to it. KARL: I don’t know what you can do about that. JUDGE: We have a problem with technology now. It’s too easy. It’s too available. They leave the courtroom and they do their own work, it’s terrible. I mean, we just have to be firmer in our instructions but we’ll never catch them if they don’t tell us. KARL: We’ll have to sanction the jurors. JUDGE: Well it’s a real, real issue for the court because, particularly the high profile case, if somebody goes home and Googles it, they’re going to hear a lot of things or read a lot of things that we kept out of the trial for evidentiary purposes. Based on the Rules of Evidence. So it’s a real problem. It’s an interesting article in today’s Times. KARL: Well I have to definitely look it up. You know, the same sort of question, Ralph, for you for practitioners today. Do you think we’re still finding intimidation within, you know, other lawyers that are practicing about electronic discovery? RALPH: Yes, definitely. That’s the generational divide and that’s, I think, one of the things that’s very important going on now is that the e-discovery world is embracing a new attitude about e-discovery. The main example is the cooperation proclamation, which Sedona is spear-heading, and I know Judge Scheindlin has signed on to that. And I think a lot of the reason that so many of my peers, senior litigators, are still doing the old way of fighting through discovery is because they are not comfortable with the discovery because they don’t understand the technology. And when you don’t really know what’s going on, the tendency especially seems to be to fall back on old ways of fighting over things. And so this is part of the problem and, as the attorneys do get more comfortable, they delegate it out, I think you’re going to start to see more cooperation; plus the fact we simply cannot afford to keep playing games with discovery. It’s too expensive. So I think there is an intimidation factor but people have just got to move beyond it. The clients demand it. They’re not going to keep paying through the nose for the kind of outrageous expenses involved in fighting over things that should simply be stipulated to. KARL: You know a question just struck me from your answer. I was thinking of a lawyer I was talking to at a fairly sophisticated firm of about 25 lawyers, very strong commercial litigators, and they’re on a case where they subpoenaed a third party for email, and they found a disinterested third party and they got zero email back. And they’re not sure what they’re even going to do. They know – because they don’t know what it will cost and, you know, is it worth to fight but – I mean that’s the sort of thing that I think is still out there even within sophisticated law firms. Now how do you handle that and as a judge, what would be your advice, Judge Scheindlin? JUDGE: I’m sorry, my advice on? KARL: If a lawyer is in a case and they subpoenaed a third party for its email? KARL: And they got nothing. Not a single email back. JUDGE: That’s logically impossible. I would bring it to the court. I mean, lawyers seem reluctant sometimes to ask the court for help, but that’s a case where they definitely should. They can do it in a letter, and say look, I don’t want to take the court’s time, I don’t want to make a motion to compel, but it’s inherently impossible if there is zero email. Something’s wrong here. And then the parties come into court and the judge works with the parties and the judge has knowledge and suddenly the situation changes and hundreds are produced. I mean, we are all familiar with last year’s Qualcomm v. Broadcom case where there were no emails, no emails, and suddenly there were half a million pages. But it took terrible persistence on the part of the adversary and then eventually the court to force the party to cough them up. And the first response was there are none. There are none. Well then suddenly there’s tons. And we’ve had that experience in case after case. KARL: Well that pulls us in a different direction there. So getting back onto the topic, the biggest lesson Judge Scheindlin and also to you Ralph is, what do you think is the biggest lesson we can teach our law students in newbie electronic discovery lawyers? JUDGE: The biggest lesson. You mean within the substantive area of e-discovery? JUDGE: Ah, substantive area. Well, I’ve been following the cases in recent years and I think the biggest topic that’s evolving is to think hard about the effectiveness of the search protocol that you develop because there seem to be too many failed protocols. People think they’ve searched and they haven’t looked in the right places, haven’t communicated with the right people, they haven’t used best technology to go through materials they do have. I had a case recently with many, many millions of documents and the privilege review was so poorly done that it simply failed to identify the privileged documents. And then when the attorney realized it, he asked for a second chance and that pretty well failed too, and a third chance. And the point is that people just aren’t getting this right and I think Magistrate Judge Grimm wrote a very fine opinion in Victor Stanley v. Creative Pipe where he explained the same problem, that nobody even quality-tested the protocol that the client and/or vendor were using to see if it was working. So if I were to pick on one issue I would have to say you have to test to see if what you’ve developed is a good way to search materials and produce relevant non-privileged information. KARL: That’s heartening to hear because that’s I focus on. But anyway … thank you. JUDGE: Do you disagree with what I said, Ralph, or do you think it’s right on? RALPH: Uh no, that is very important. And I would just phrase it a little differently insofar as the primary thing I’ve found myself coming back to and explaining to the law students particularly is related to that. And that is the whole notion of proportionality, of scale, and of the importance of understanding Rule 26 (b)(2)(C) in achieving a balance between the value of a case, the importance of the case, and what the cost may be in the different kinds of information available. This is the kind of thing that you address so well in Zubulake and other cases. I mean, this is the fundamental thing that I think many lawyers have lost track of. They’ve gotten so involved in the chase, they aren’t coming back to the fundamental question: should I really be spending a million dollars to track down email when on the best day this case is only worth two million dollars? Is that the right thing, is that fair or does that comply with the requirement of a just and quick adjudication of justice? I’m trying to drill that in everyone’s head, and also the notion that discovery is not a field where there should be unnecessary contests. It should be a cooperative search for the truth and, you know, that kind of goes hand-in-hand. Let’s put the facts on the table and then just argue with what the facts mean. There’s plenty of room for adversarial arguments in the presentations to judge and jury, but not about technical things like metadata, do you need it or not; you know, let’s get real with that. JUDGE: Well Ralph, I’d like to for just a moment challenge a little piece of what you said. You know, you don’t want to spend, you said, a million dollars on discovery when the case is at best worth two million. But what do you do when you are the defendant and you’re not there voluntarily, and you’re being asked to produce information. Are you saying that rather than spend that money you ought to throw in the towel and just settle the case? Because I’m worried, and many people are worried, about the high cost of e-discovery allowing extortion to occur in a settlement. Because from a defense perspective, you don’t have a choice. You have to spend what it takes to properly respond to the request. You must do it. You can’t just say, “Well it’s too expensive. I can’t do this.” You have to do it. You can try to seek cost shifting, you can try to involve the court in apportioning cost. By the end of the day you either do it or you’re going to pay it in a settlement. And I know there’s been a fear, I hear it all the time in The Bar, that the cost of e-discovery is shifting the ground in terms of the ability to extort settlements. And I’d like to hear what you think of that. RALPH: Well I’m glad to hear your concern about that. I share that concern, as I am primarily doing defense work. Of course, in e-discovery it’s not so much defense as it is requester or producer, and the producing party if it’s a larger corporation, David and Goliath, can be behind the eight ball. But I do think that a large company is entitled to protection and that there is no need to try and find every piece of relevant email, but you should instead scale your search. We should be thinking in terms, as I know you do, of rolling productions in a series. Let’s start off – let’s see what we can get in an economical manner and produce that first, and then come back with secondary, more focused discovery. Because, you know, I don’t think you should have to spend a million dollars to find electronic evidence if the case is two million. I think that’s where you go immediately for protection and do not allow yourself to be extorted by the cost of a lawsuit. JUDGE: But that’s the key point. You can’t use self-help. You either go for protection by coming to court or you comply. But you can’t take the middle ground and just ignore it, put your head in the sand, do it half way and then say, “Well the reason I didn’t do better is it was too expensive.” That’s what you can’t do and that’s where I think a lot of lawyers make a mistake. KARL: You know these are both great topics and I’m going to do shows on both of those topics because they’re great. I was digging for more future shows and so consider those preview answers. I want to wrap up here with just a couple of quick questions on the book. The textbook, by the way, I skimmed through the content and it looks like it’s about 650 pages long, it’s extremely comprehensive, lots of cases, hundreds of issues. Do you think there’s a larger market for this book for lawyers or young lawyers to get this book, or is it really for law students? JUDGE: Well it was certainly created for law students but it wouldn’t be the first casebook where a practitioner says, “Given what’s available on the market, I think I’d like to own this book.” So I have had a number of practitioners who told me they bought it. It’s funny, I get an email saying I bought your casebook. I mean, I didn’t ask them to. I don’t know why they did. But I guess there’s not so much on the market and they thought it might be a useful way to learn. So, while I didn’t envision it for the lawyer market which is one reason we’re coming out with the Nutshell, it certainly can’t hurt. And I expect it is going to be on a number of lawyers’ book shelves. KARL: My last quick question is, given the collaborative nature of law, I know in the voluminous content of the book, there has to have been people that helped you write it and if you wanted to thank anyone? JUDGE: Oh we did, it’s all in the Preface. I don’t want to single one person out and forget to name another. But a co-author of the book is the Sedona Conference. So the Sedona Conference used volunteers who are members of the Conference to help with some of the sections. And as I said, I know if I start to name one name I’ll for get another, but it’s all in the Preface. They’re all thanked individually. We were very grateful to the members of the Sedona Conference who contributed to the book in addition to the work that Professor Capra and I did. So, obviously, Ken Withers, Educational Director, was the coordinator of the volunteers. So Ken’s name I certainly can mention separately. But other than that, just in general, we want to thank the Sedona Conference and its volunteers. KARL: Great. And we’re going to have Richard Braman on a show in a couple weeks talking about the collaboration initiative and trying to get better cooperation out there. But I want to thank both of you for living with the technical glitches. We are in an electronic world and I’m glad that we’re able to come up with a back-up plan. I hope we will do future shows on other topics. I know, Ralph, we’re talking about one. And thank you again for your participation. JUDGE: Okay. Thank you. Bye. RALPH: Thank you. Good bye.